The Pacific Aria, like her sister ship the Pacific Dawn, offers year round cruises from the Queensland capital of Brisbane throughout 2019. Give her a try with one of her taster cruises – three night cruises sail into the Pacific from Brisbane and then circle back, while four night cruises give you the opportunity to visit the Great Barrier Reef with stops in either Airlie Beach or Hamilton Island. If you’re looking to explore more of Queensland’s beautiful coastline, have a look at Pacific Aria’s Australian explorations visiting tropical destinations including Cairns, Willis Island and Townsville (with a couple of itineraries that head south to Sydney and back) over the course of five to nine nights. For more tropical beach destinations, Pacific Aria’s South Pacific itineraries operate throughout the year (including the winter months for those wanting to thaw on a beach break) and visit Vanuatu, New Caledonia and in some instances Fiji. For South Pacific itineraries that are a little bit different, have a look at the variety of feature cruises including itineraries to Tonga. In 2020 Pacific Aria is migrating south! In February and March 2020, she will cruise from Melbourne with a series of short taster cruises or longer Australian explorations and then Adelaide to offer the same for cruisers in South Australia. She’ll spend the winter months offering round trip cruises departing from Auckland before returning to Sydney for the summer cruising season. 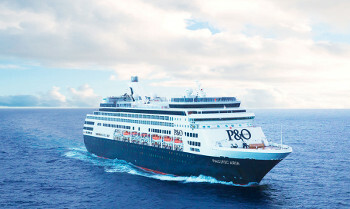 From Sydney, take a 3 or 4 night taster cruise, or journey to the South Pacific islands. Looking for something else? 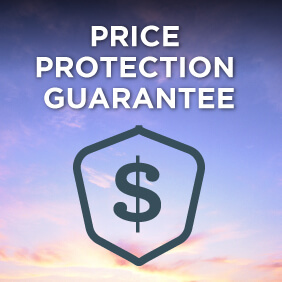 View more options for P&O Australia cruises or a selection of P&O Australia cruise deals, or view the full range of cruises from Brisbane, cruises from Melbourne and cruises from Adelaide. Book one of the many Pacific Aria cruises available and let your troubles float away. Hang out in a luxury penthouse suite, dig in with sixteen dining experiences, catch a movie at the Premium Cinema and swim in the top deck pool – it’s open no matter the weather thanks to a climate controlled retractable roof! If non-stop activities onboard the Pacific Aria arent your cup of tea, perhaps we can interest you in an actual cup of tea? Or maybe a spot of retail therapy? Whether surrendering to sleep-ins, saying hello to the sunrise or even just reading a book as you inhale the fresh sea air, its the little moments of me time that make all the difference. Whether its window-shopping or a shopping spree, were taking onboard shopping to a whole new level. Get yourself a fresh newdo at our full service hair salon. Let our qualified hairdressers work their magic on your mop. At our onboard day spa you can relax your muscles, relieve your tension and clear your mind. And we’re not just talking facials and massages. Reflexology, acupuncture, men’s treatments, even teeth whitening are all on the menu. Ascend high above the top deck to The Dome viewpoint. Youll get the best view on the ship. Enjoy the climate controlled haven of the top deck pool. With understated decor and high end furnishings in a relaxed setting, the design brings the indoors, outdoors. And the retractable roof lets you relax during the day or enjoy live music and cocktails in the evening, no matter the weather. Welcome to the ships living room. Ocean features comfy chaise lounges with a really relaxed, homey vibe. We have a world of activities for you to discover onboard. From party nights to the P&O Edge Adventure Park, Kids Clubs to the adults-only Oasis  theres something fun for everyone. Choose from over 60 activities onboard daily or choose to sit by the pool and do absolutely nothing at all. With P&O’s Pacific Aria, the way you holiday is up to you. P&O Edge is not for the faint hearted. If youre up for some extra adventure, join the adrenaline junkies at P&O Edge Adventure Park. Its Australias largest adventure park at sea, and take it from us, its awesome! Have you ever wanted to, say, race down a zip line on the top deck of a cruise ship? At P&O Edge you can! With up to 19 exciting activities you can get really get your heart pumping. Reach the top with the funnel climb, dont look down when crossing the slackline or take a leap of faith on the flying fox. Plus experience new activities like Walk The Plank, Crows Nest Viewpoint and the Boulder Wall. Be taught how to make four of our onboard cocktails plus some take home tips for creating your own. The sun has gone down but the fun is by no means over yet. After dark get ready for live music, comedy, theme nights, production shows and more. And the best bit? No tickets or taxis required, the party’s ready when you are. Dinner and a show will never be the same after a Pacific Aria cruise. Our original production shows keep you entertained. Its a laugh-a-minute at the adults only sit-down comedy club, the perfect place to kick back and relax onboard. Join in a round of trivia with friends or take part in one of our popular game shows. 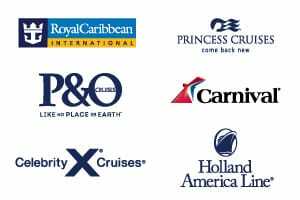 What sets us apart from other cruise lines? Our commitment to innovative, fresh and fantastic food – otherwise known as P&O’s Food Revolution. There’s a minimum of eight dining experiences onboard each ship, and even more onboard our new Ships Pacific Aria and Pacific Eden. From Australia’s only celebrity chef restaurant at sea to a room service snack at any time, there’s something for everyone. The Chef’s Table experience can be booked once onboard. Charges apply. Exclusive to P&O, Salt grill the first Australian celebrity chef restaurant at sea. You’ll love this unforgettable dining experience. With over 40 Ã la carte menu items for breakfast, lunch and dinner, this modern Australian restaurant serves up a sophisticated selection. Be seduced by the exotic spices on the modern Pan-Asian menu at our brand new restaurant Dragon Lady. Comedy Cruise Sea BreakSpend a few nights at sea as some of Australia’s best comedians take the stage each night. With the Comedy Cruise Gala (a must-see), an up close and personal chat to the comedians and a cheeky adults-only shows in the Sit Down Comedy Club, there’s something to make everyone smile. If you think you have what it takes to take the stage, try a Comedy Workshop where our pros will give you inside tips. Then, with your new skills, make your debut at the Comedy Gong Show, where our celebrity comedians will judge your performance. Who knows? You could be discovered on the night!